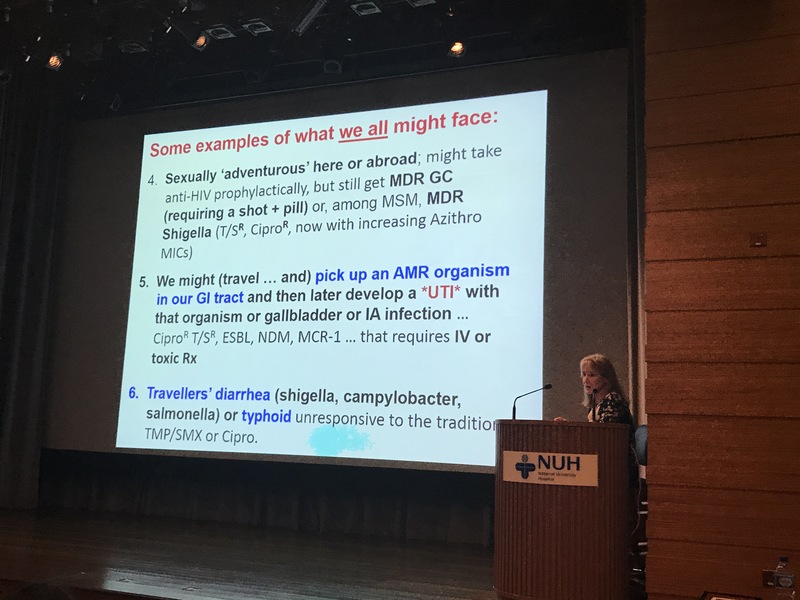 Had the distinct pleasure of listening to Prof Barbara Murray deliver a lecture on “Why Antimicrobial Resistance May Be A Threat To The World – Or Not” at the National University Hospital’s Grand Rounds last Friday. 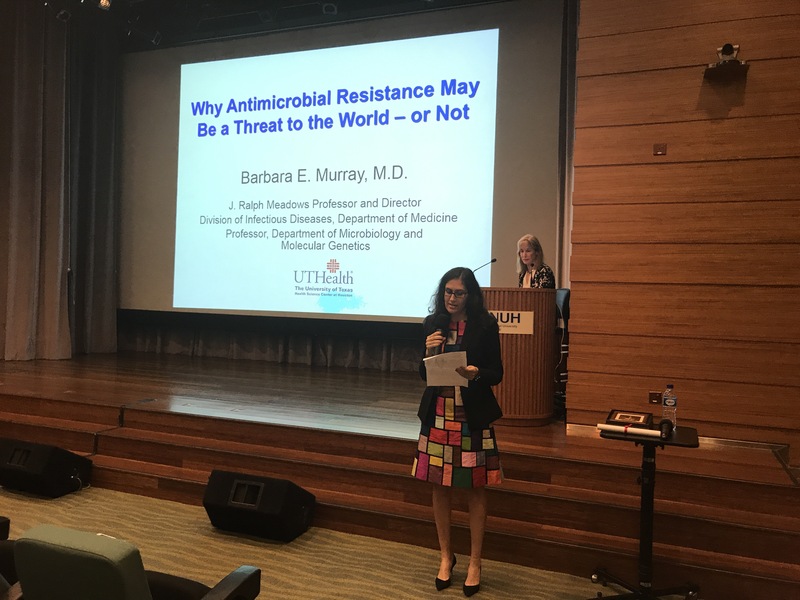 Prof Murray was the president of the Infectious Diseases Society of America in 2014, and director of the Division of Infectious Diseases at the University of Houston Health Science Center. She is particularly renowned for her work on enterococci. 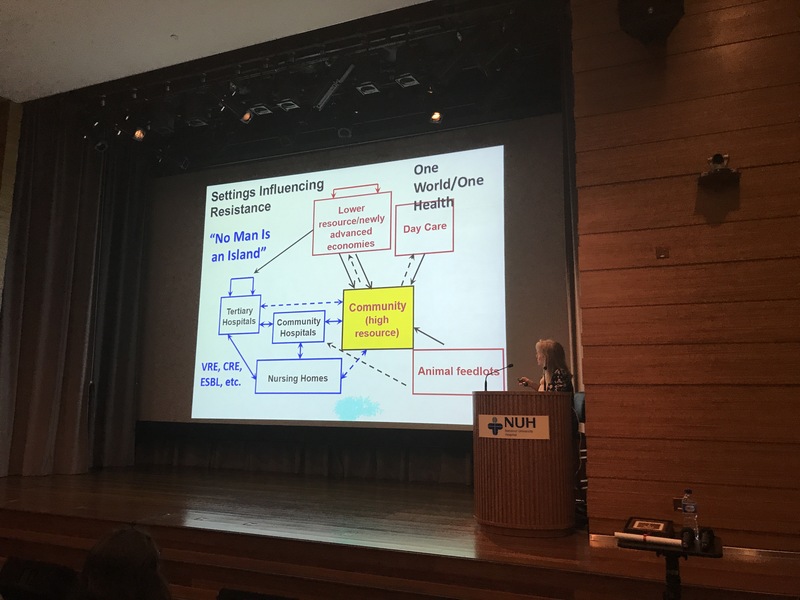 Here for example is one of her older papers, clearly describing the organism and its impact, especially in combination with antibiotic resistance. 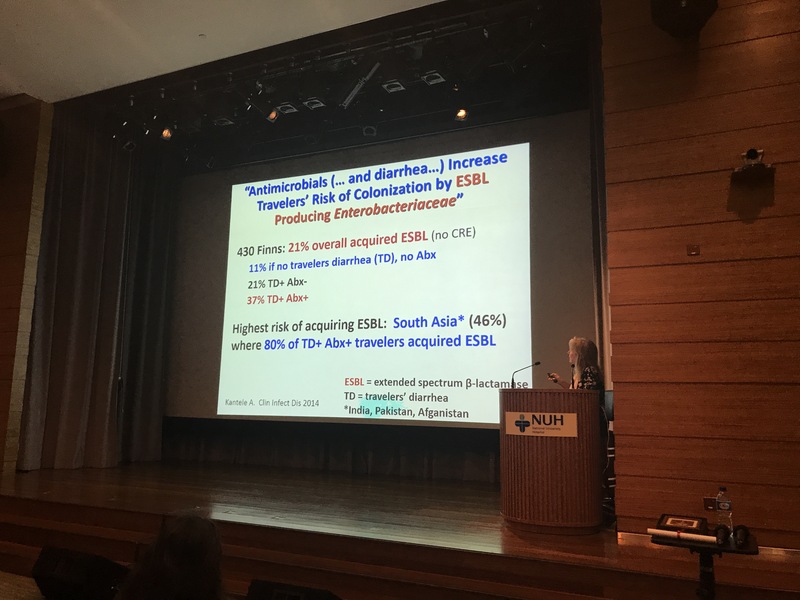 Her talk was clear and well received, and perhaps the only “issue” was that she did not provide more examples of her own work on enterococci during the presentation itself. Introduction to the speaker by A/Prof Sophia Archuleta, head of the ID division at NUH. 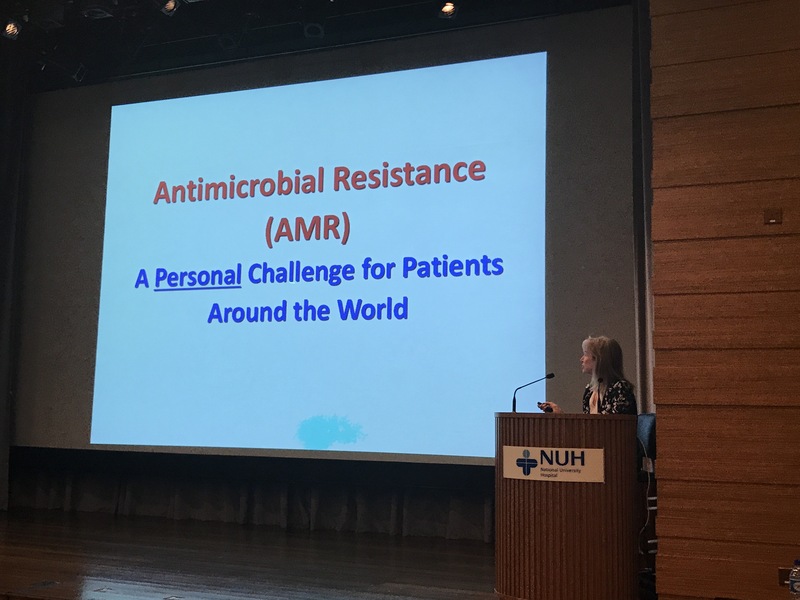 Highlighting that AMR is usually a personal challenge for patients infected by drug-resistant organisms. 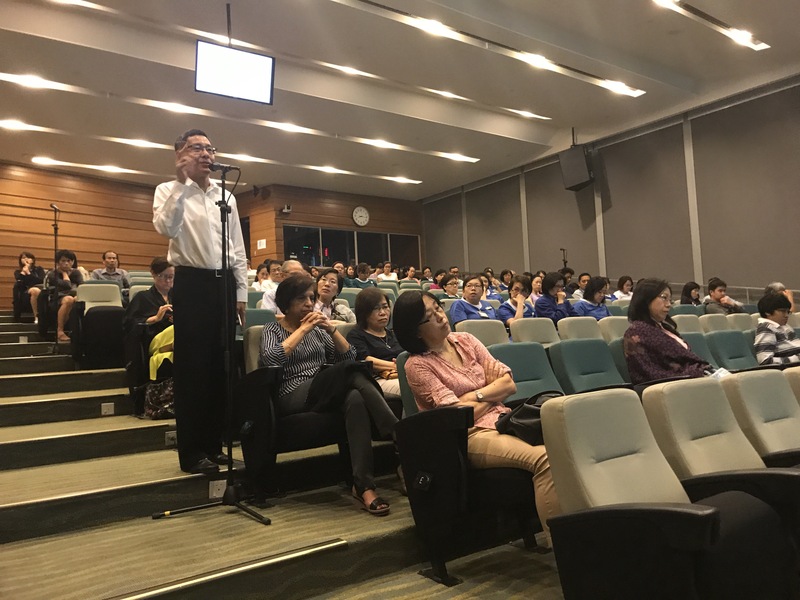 The dean of the Yong Loo Lin School of Medicine asking a question. 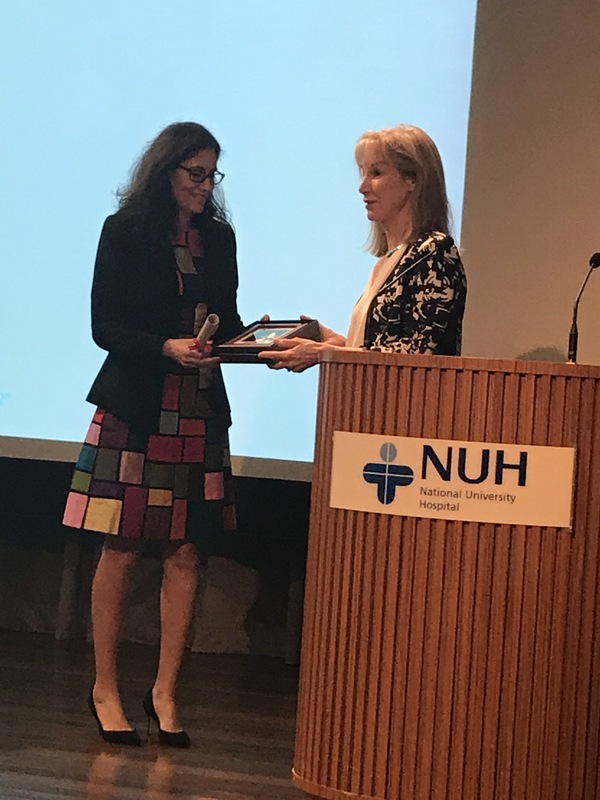 Token of appreciation presented to Prof Murray by A/Prof Sophia Archuleta.